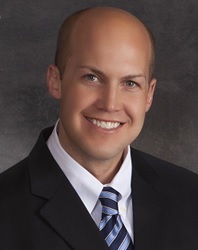 Bradley T. Hunsicker is a member of Markus Williams Young & Hunsicker, LLC and manages the firm’s Cheyenne, Wyoming office. He concentrates his practice on sophisticated business and individual bankruptcies, loan workouts and restructurings, creditors’ rights, commercial litigation and business law matters. His experience includes broad representation of lenders and borrowers, particularly in the energy and agricultural sectors. In addition, his practice includes representation of bankruptcy trustees. In re Vester Investments, LLC – Bankr. D. Wyo. Case No. 18-20021 – Debtor’s counsel in case involving a debtor whose primary assets are substantial securities held in investment accounts. In re Cobra Well Testers, LLC – Bankr. D. Wyo. Case No. 18-20449 – Debtor’s counsel in case involving a debtor that leases dependable high pressure well testing equipment to the oil and gas industry. In re Twiford Enterprises, Inc. – Bankr. D. Wyo. Case No. 18-20120 – Creditor’s counsel for secured creditor holding largest claim against the estate. The debtor operates a cow/calf operation. In re VRAJ Century Corp. – Bankr. D. Wyo. Case No. 18-20949 – Creditor’s counsel for secured creditor holding largest claim against the estate. The debtor owns and operates a hotel in southern Wyoming. In re Leonard Owen Mosher – Bankr. D. Wyo. Case No. 17-20929 – Creditor’s counsel for creditor asserting claims for fraud, embezzlement and willful and malicious injury. Successful in obtaining nondischargeable judgment and converting case from chapter 11 to chapter 7. In re Dennis Meyer Danzik, Bankr. D. Wyo. Case No. 17-20934 – Creditor’s counsel for creditor asserting a fraud claim against the debtor for more than $7 million. Ultimately successful in dismissing the debtor’s second chapter 11 bankruptcy case after previously being successful in dismissing the debtor’s prior chapter 11 case. In re Powell Valley Health Care, Inc. – Bankr. D. Wyo. Case No. 16-20326 – Lead debtor’s counsel for Chapter 11 debtor-in–possession, a Wyoming non-profit hospital located in Powell, Wyoming. The case was filed to address more than twenty malpractice claims (totaling more than $150 million) asserted against the hospital relating to certain medical procedures performed by an orthopedic surgeon. Plan confirmed involving the establishment of a liquidating trust for the benefit of tort claimants. In re Dennis Meyer Danzik – Bankr. D. Wyo. Case No. 16-20002 – Creditor’s counsel for creditor asserting a fraud claim against the debtor for more than $7 million. Ultimately successful in dismissing the Chapter 11 bankruptcy case. In re Hildebrand – Represented individual Chapter 11 debtor-in-possession, an owner/operator of a licensed chiropractic center in Wyoming. Plan confirmed. In re: Red Eagle Oil, Inc. (“Red Eagle”) – Bankr. D. Wyo. Case No. 11-20857 – Lead debtor’s counsel for a family-owned business (similar to the majority of businesses located in Wyoming) involving a chain of convenience stores (“c-stores”) located across Wyoming and Montana, and a wholesale fuel (gas) distributorship. After the consensual appointment of a chief restructuring advisor (r2 advisors, llc, based in Denver, CO), the case ultimately culminated in the sale of substantially all assets of Red Eagle for approximately $9.5 million; a section 363 sale orchestrated by an investment firm specializing in the sale of c-stores (Matrix Private Equities, Inc., based in Richmond, VA). After completion of the sale, a plan was confirmed and the remaining assets were transferred to a plan administer for the benefit of creditors. In re US Bentonite, Inc., et al. – Represented Chapter 11 debtors-in-possession in successful liquidation of debtor’s assets for $4,250,000. In re Western Biomass Energy, LLC – Represented Chapter 11 debtor-in-possession in successful liquidation of debtor’s assets. In re MTR, LLC – Represented Chapter 11 debtor-in-possession (single asset real estate), a real estate holding company. Plan confirmed. Computer Professionals Unlimited, Inc. v. Widdoss – Represented creditor objecting to the discharge of certain debt. Obtained settlement. Buffalo Federal Savings Bank v. Perkins – D. Wyo. Court Case No. 14-CV-00088-SWS – Issue: Whether a “charging order” is a Chapter 7 trustee’s exclusive remedy for a collection action against a Wyoming limited liability company. Miller v. United States Trustee – 10th Cir. BAP Case No. WY 14-002 – Issue: Whether income must be both “received” and “derived” during the applicable six-month look back period in order to be included in “current monthly income” for purposes of 11 U.S.C. §101(10A)(A). Gary A. Barney, Capter 7 Trustee v. BAC Home Loan Servicing, L.P. – Wyo. S. Crt. Case No. S-12-0177 – Issue: Certified question from the US Bankruptcy Court for the District of Wyoming as to the effect of Wyoming mortgage notice statutes on the Chapter 7 Trustee’s avoidance powers under 11 U.S.C. § 544. Herbert v. Randy L. Royal, Chapter 7 Trustee – 10th Cir. BAP Case No. WY 10-080 – Issue: Whether that portion of an income tax refund directly traceable to the debtor’s 401(k) retirement fund and unemployment benefits paid under the Wyoming Employment Security Law are exempt pursuant to Wyoming statute.